← Last Boat to Yokohama: Book Launch at the Rubin Museum! 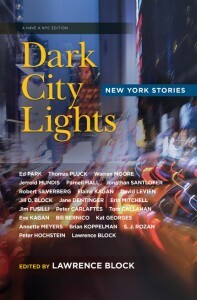 The reviews are in and Dark City Lights: New York Stories has been featured on reviewingtheevidence.com. 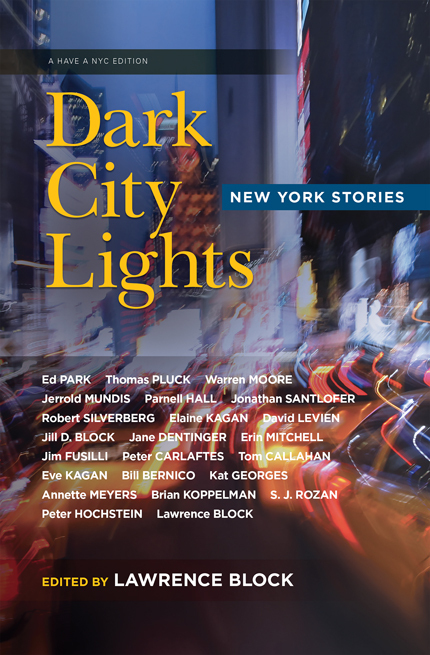 Edited by famed detective and mystery writer Lawrence Block, Dark City Lights features twenty-three thrilling, hilarious and poignant short stories—all based in New York City—written by new and acclaimed fiction masters. Ed Park’s “Amsterdam in the 90s” offers a creepy beginning story. “The Big Snip” by Thomas Pluck is a well-researched, entertaining tale about veterinary technicians that suggests a response to domestic violence. Warren Moore’s “Bowery Station, 3:15 A.M.” is a shocker. As promised, New York City could be considered a main character in these tales. Read the full review here and to learn more about Dark City Lights or to purchase your own copy, click here.